In 1951, Buckminster Fuller patented the efficient, resilient geodesic dome, and companies today are still drawing inspiration from his work. Freedomes has been making event domes for about ten years, and now they're offering a new line of gorgeous, super affordable dome kits that are perfect for everything from luxury camping to outdoor classrooms - all under 4k. 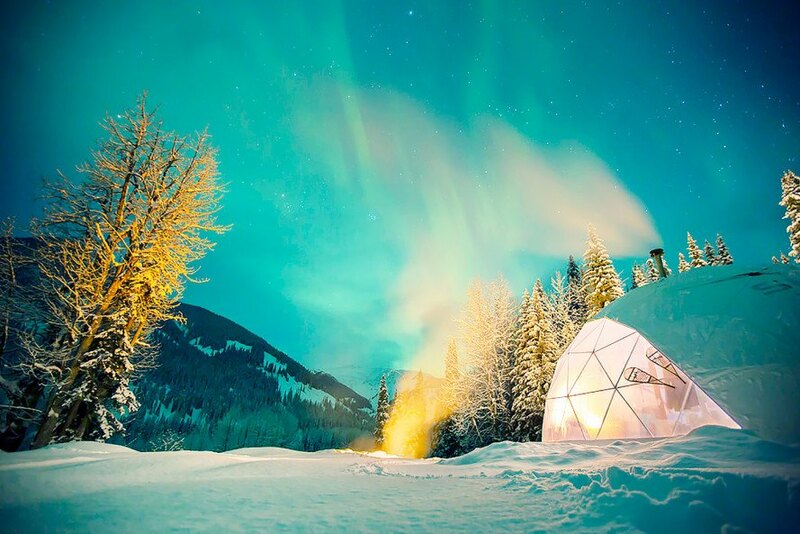 The Glamping domes are targeted towards hotels looking for a fun alternative, and clients like Harriniva and Skeena Heliskiing have already taken F.Domes up on the offer, popping up beautiful domes in Finland and British Colombia. One notable Classic dome client is Google. They used the F.Domes Classic 75 (about 807 square feet) for the Google for Education program in the UK. The dome acted as a traveling classroom as Google showed how technology could change education. Another client was the Das Stue hotel in Germany, who used a F.Domes Classic 30 (around 322 square feet) for a cool “chill-out lounge” for guests. In terms of pricing, both the Glamping and Classic domes start at around $3,690. These are beautiful! 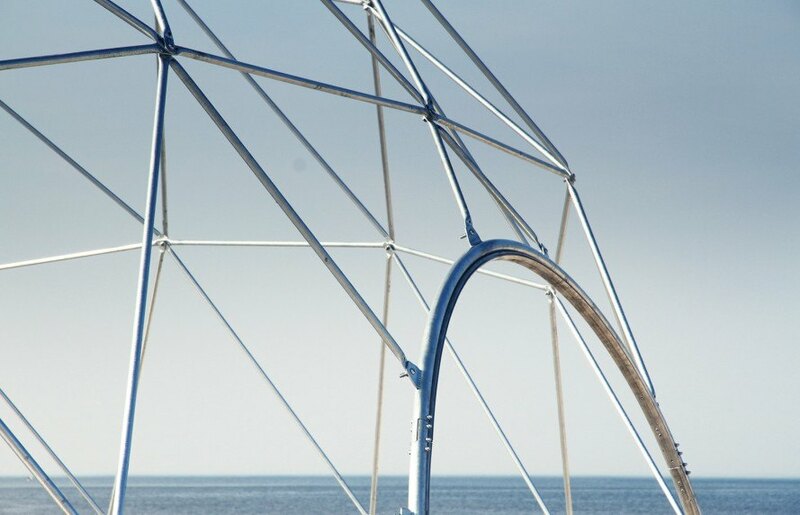 My favorite are the glamping dome projects. I have never been glamping but next time we go on vacation we are taking the kids to a dome in nature. Pacific Domes also has some really cool glamping domes all over the world to check out. 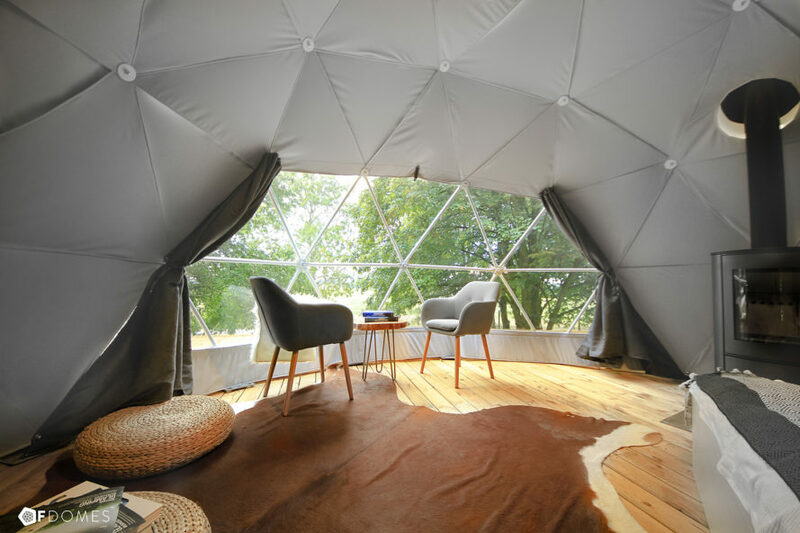 F.Domes offers two lines, Classic and Glamping. Glamping domes have a "panoramic bay window." They can be inhabited even in cold weather. The Glamping domes can be insulated or include wood-burning stoves. 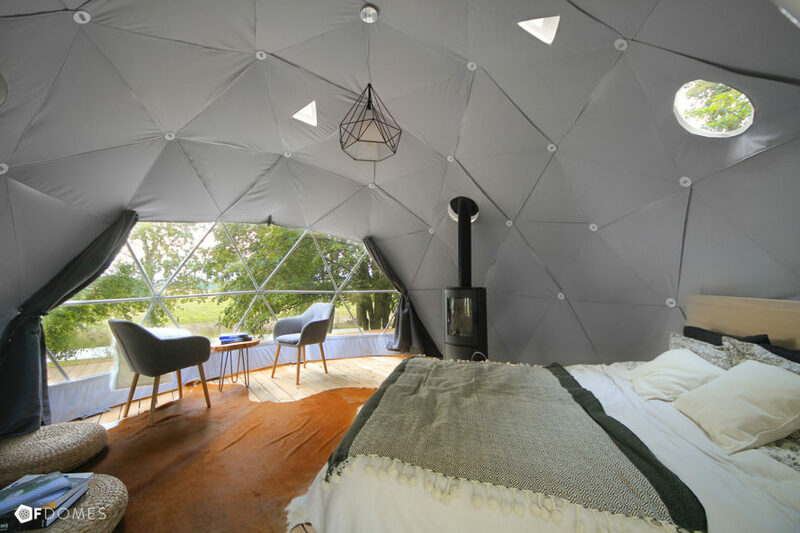 Glamping domes have popped up in places like British Colombia and Finland. 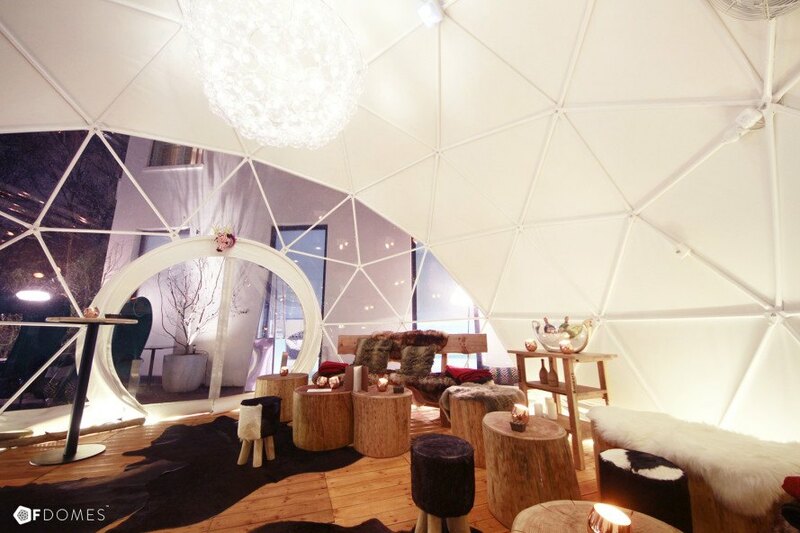 Classic domes can be used in a variety of ways, like this chill hotel lounge. The company says Classic domes are durable and can withstand earthquakes. The dome kits start at around $3,690.